We humans have all kinds of social calming signals, from self-depricating laughter to verbal cues (i.e. “Excuse me”) to culturally specific social norms, to keep our interactions from going awry, our actions or words misunderstood. Doesn’t it make sense that social animals have the same? 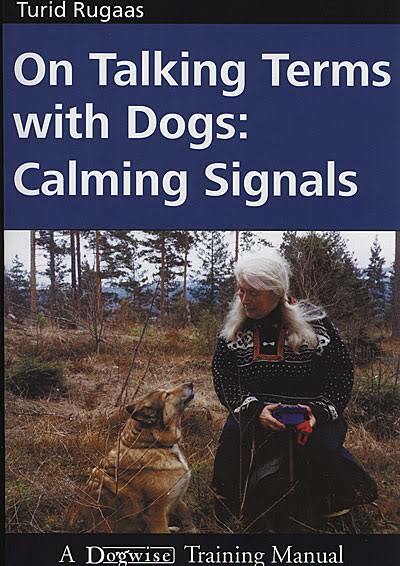 I read Turid Rugaas’ book, On Talking Terms With Dogs: Calming Signals a few years back when I was more involved in the horse world than the dog world. I had, however, been hanging out with dogs, pet sitting. A number of the dogs I stayed with experienced a lot of stress and anxiety, often the reason I was asked to pet sit rather then the dog being placed in a boarding facility, so the subject matter resonated for me. I certainly knew from experience that calming signals are apparent in cats. I lived with two cats, the first of which was my first ever Fuzzy Buddy, Lewis. She was quite timid and in my thirst for knowledge (okay, obsession) early on, I’d come across a book describing some ways to communicate that I was not a threat. The body language works so well that to this day people are shocked when their “scaredy” cats will approach me when they won’t approach anyone else. I also very successfully used calming signals with a feral cat who’d been named Scrappy for her habit of drawing blood from anyone who tried to get too close. Suzie Sunshine (nee Scrappy) was a rescued feral cat I was able to approach and touch without injury when no one else at the shelter could. Here she reciprocates by softly blinking. Anyway, at the time I read the book I didn’t made the calming signals connection with horses, largely because horses are so often described as prey animals and therefore, the metaphor goes, quite different than predator animals, dogs and humans included. There is of course a great deal of truth to the predator/prey perspective, but things are not strictly black and white. An article I read recently, Anne Blake’s article Calming Signals: Are You Listening, made the connection with horses in a way I didn’t. If just to gain some perspective on how other species use calming signals, it’s worth a quick read. 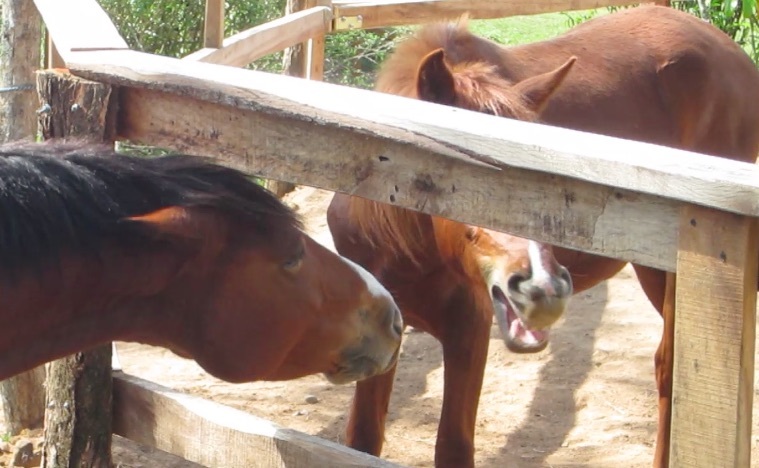 A classic equine calming signal is the teeth clicking foals do to show they are not a threat. Here 9 month old Pegasus lets his new herd mate Houdini know he’s just a baby and means no harm. Calming Signals: Are You Listening is a great reminder that we get a lot closer to the truth when we observe and in so doing listen to what our animals are saying to us, no matter the species. 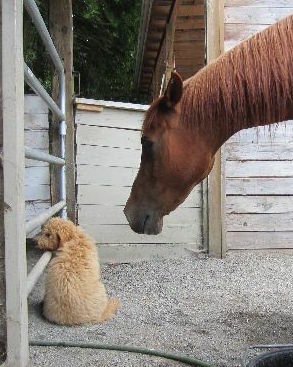 Horses, as well as dogs, are too often described in terms of dominance and wanting to gain the upper hand, when nothing could be farther from the truth. It’s always good to remember our animals aren’t interested in taking over the world. If we are open to that idea, we are then able to ask the question, “What else might they be saying?” and open a whole new world of understanding and relationship. Calming Signals is a must-read dogs lovers and now for horse-lover too.